KEW has designed and built Narrow Web Slitting Rewinding Machine unit as ideal for slitting salvage winding, and de-laminatio of rolls. Narrow web BOPP tape thermal paper slitter machine. The units feature multiple diameter differential or air-expanding rewinder. 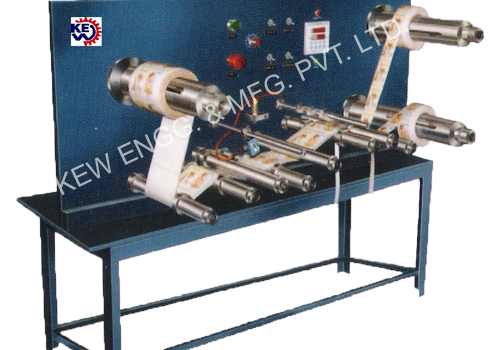 Also, we are manufacturer of Doctoring Rewinding Machine for widest converting industries.